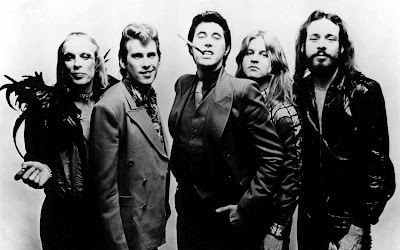 It is difficult to fathom how a group based out of art school friendships and minimal music training could become arguably one of the most influential bands to come out of the England in the '70s but this is exactly what Roxy Music did. By applying an artful approach to not just their music but their highly stylized album art and fashion, Roxy Music created a world of their own and invited listeners to enter it. Four decades later listeners are still being swept up into their sophisticated "new romantic" sound. 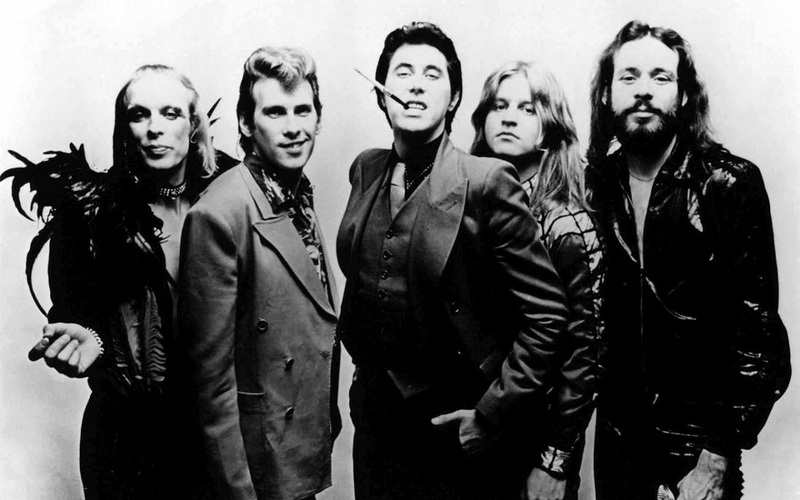 Even Roxy Music's name is an ode to their influence and person. While it is based off of a cinema theater's name, it is also a pun on the words Rock music. They aren't plain and simple Rock, they are Rock-ish, Roxy if you will. Not even their name is an accident, every inch of this group has been carefully pruned and manipulated to their liking. This group's careful design is not only heavily based on non musical influence (again a major nod to art school environment they were hatched from like Pop Art) but the time period of which the members were born into, the mid '40s and early '50s. Singer and primary songwriter / band leader Bryan Ferry's influences are rooted in all the early "cool" movements: American Jazz, Blues, early Rock & Roll (Bill Haley to the Velvets), and R&B (not to mention the fashion attached to these musical movements) as well as the trends of his own country like Joe Meek produced music, The Beatles, the Mod Teddy Boy scene, and early Art rock bands like the Bonzo Dog Band. Tune in from 7PM to 9PM tonight to hear how these influences puzzle piece together to form the base to their sound as well as the bands who traveled in the same sound circle and finally, the artists who owe their entire sound and style to the original masters of synth based couture Pop. 97.3 on your dial in Richmond or stream us live at WRIR. Missed the show? Download it here.